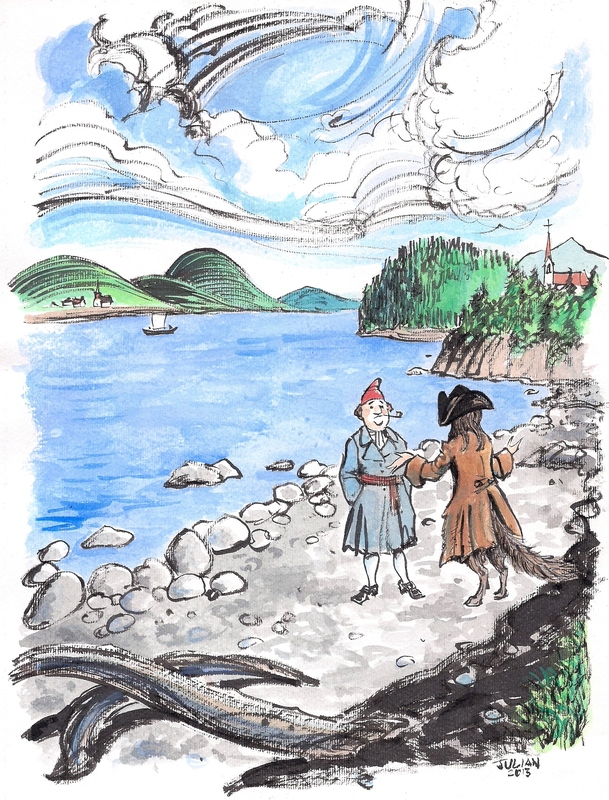 This entry was posted in bande dessinée, illustration, new france, nouvelle france and tagged gazette de québec, gévaudan, Kamouraska, loup-garou, sorcellerie, werewolf. Bookmark the permalink. A romantic tale, very romantically told! Werewolves seem to have been quite a problem in the lower St. Lawrence area. Thanks a lot Sylvain! I’m sorry you couldn’t make it to the Verdun fête de l’érable today!